You name them and we probably created signage for them! There must be a reason they keep coming back! Since then we have added to our hand-painted services, the technology needed to serve the business and private community with today's technology. We have moved to a large office and constructed a 2400 square foot shop to handle whatever our customers need large or small rain or shine. Some of the new technology allows us to perform: Large digital printing , vinyl lettering, vehicle wraps , fleet vehicle wraps and lettering , window lettering, boat and yacht names. We now can create all sorts of interior or exterior signs including: Graphic design-stickers, digital prints, banners, vinyl lettering and shapes to your specifications, sandblasted, 3D, coroplast, routed, metal, foam, wood, carved etc... Call us for all your sign needs we can help! 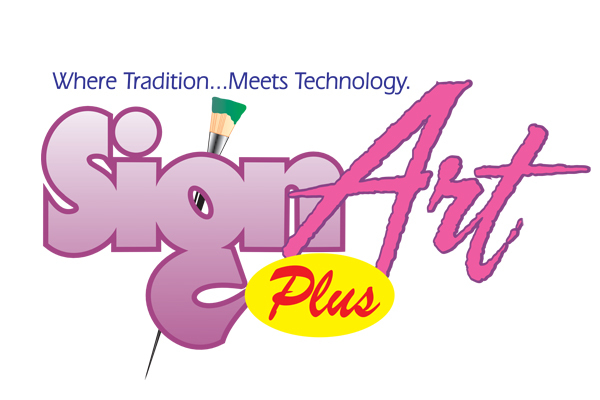 Sign Art Plus serves Port Saint Lucie, Stuart, Okeechobee, Sebastian, Jensen Beach, Hobe Sound, Fort Pierce, Vero Beach, Palm City and Martin, St. Lucie, Okeechobee and Indian River Counties.